One for rugby fans, Finnegan's has its own team, the Madrid Lions, and a talent for sniffing out every conceivable match to show on its large screens. In lean sporting times the void is filled with pub quizzes and DJs (mostly rock) at weekends. 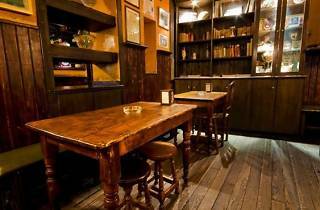 Pints of Beamish, Newky Brown and John Smith's complement burgers and other pub grub. 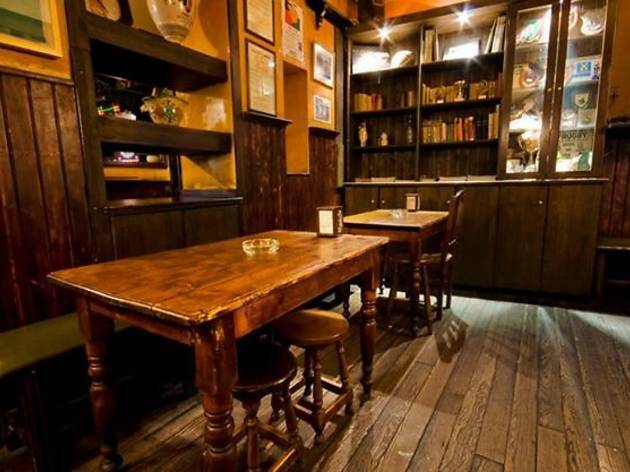 The decoration here is reminiscent of an Irish pub, with a large bar and high wooden stools. Though it may not be intentional, it also has something of the style of a western saloon.